As soon as I told him the reasons I wanted a bike he recommended the Yamaha MT-03. 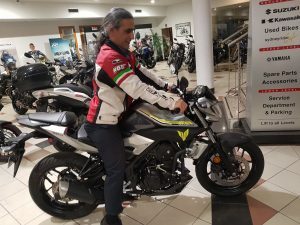 So after doing my research and taking a couple of MT-03’s for a test ride I decided it was the bike for me. 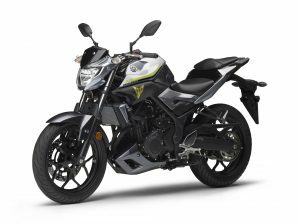 The current reincarnation of the MT-03 was released by Yamaha in 2016 and is a member of the very popular MT family, which also includes the MT-07, MT-09 and MT10. It’s a naked bike built on the same platform as the YZF-R3. 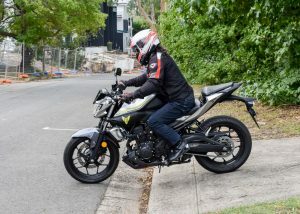 In Australia the MT-03 is LAMS approved, which made it an ideal bike for me while I was converting my overseas rider’s license to an Australian license. I’ve been riding the MT-03 (aka The Yammy) for 10 months now and absolutely love it. The bike is easy to ride, easy to maneuver, fairly light, and quite powerful for its size. 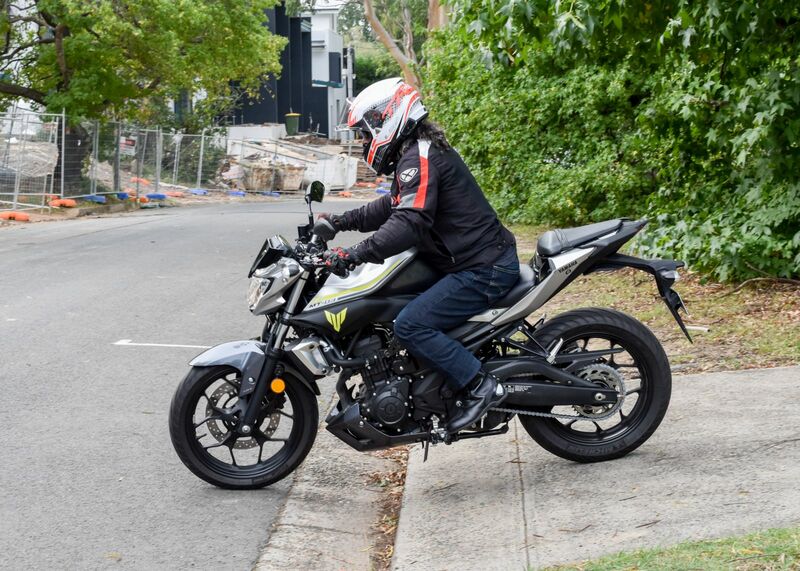 I’ve been riding it to work in Sydney’s peak hour traffic and on day trips outside Sydney on weekends. It perfectly handles all my riding needs. I find the Yammy a pleasure to ride. From taking off, through accelerating, the slow corners, the lane splitting, the freeways, the twisties… it can handle them all very well. The upright riding position is comfortable even on long trips, the handle bars and instruments are easily reached. And as an added bonus it even looks great! 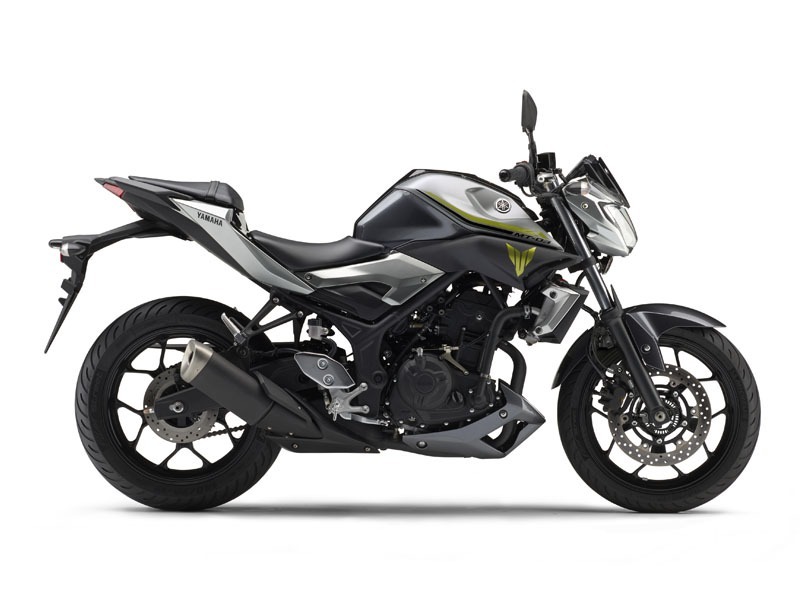 The Yamaha MT-03 has a 321cc parallel twin-engine which produces 42bhp. It has a 6 speed gearbox, ABS brakes and a 14L fuel tank. Seat height is 78cm and it weighs 168kg wet. All in all it is a great and versatile bike, suitable for learners and for returning riders (like me). Keep enjoy your riding and update here!